The real test of a filmmaker, despite all the joys of having delivered a critically acclaimed successful film, is always his or her follow up film. Unfortunately, director Sharat Katariya, who impressed so much with his previous outing, Dum Laga Ke Haisha (2015), is yet another who fails this litmus test. His current offering, Sui Dhaaga, for all its saluting the triumph of the human entrepreneurship spirit, is surprisingly uninspiring and dull. An unimaginative script, shoddy characterizations and logical loopholes, all mar a story idea that had great potential. In fact, this seems to be a major problem with most Hindi films today. 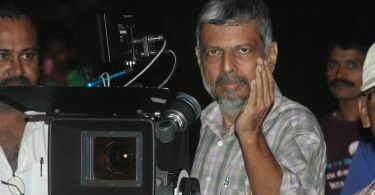 Its makers are seldom able to go beyond a good idea and convert it into an engaging cinematic experience. Set in a small town in the Hindi belt (again! ), Sui Dhaaga looks at Mauji (Varun Dhawan) and Mamta (Anushka Sharma), who have been married for a while but like all couples staying in a joint family, they have little or no contact with each other. One evening, Mamta and Mauji’s parents (Raghuvir Yadav and Yamini Das) witness the humiliation that Mauji has to undergo to keep his job as a salesman in a sewing machine shop. Horrified, Mamta decides she will take just this much of her husband’s degradation and no more. As Mauji is a fine tailor, she pushes him towards moving out on his own – as indicated by the ‘Made in India’ tagline to the title. 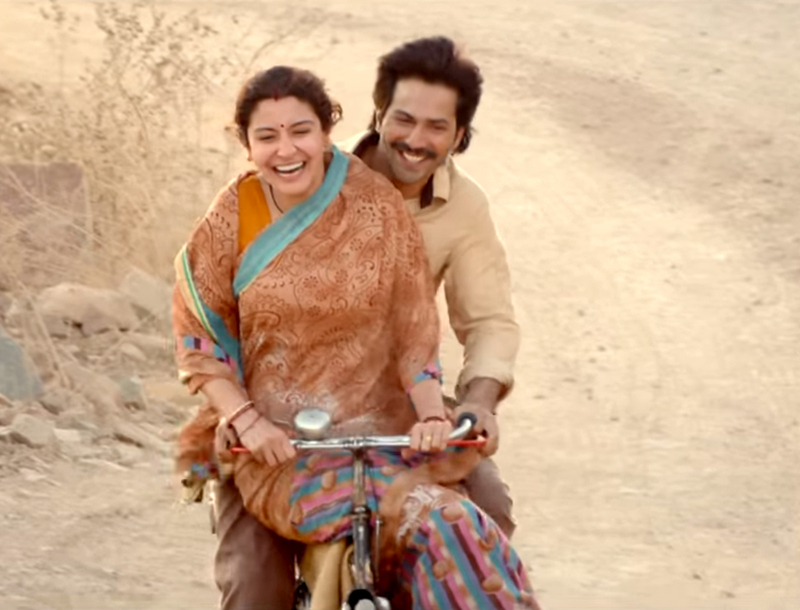 What follows thereafter is what Sui Dhaaga stitches together towards the customary feel good happy ending. Sui Dhaaga comes across as film of missed opportunities. What could have been an inspiring tale of reviving the cottage industry besides providing self employment and jobs to others unfortunately gets crushed under its own pressure of creating an entertainer that also tries to be ‘small town realistic’; which, unfortunately comes off as real means boring. The weak writing ensures that after a so-so first half, the second half of the film dips into rather unimaginative situations and conflicts to keep the narrative going. A banal screenplay that lacks detailing sees the film falling into predictable mode with an all too obvious end. And then there are logical problems to boot – Mauji’s mother’s long drawn hospitalization scenes vis-a-vis medical science. If at all, anything works in the writing, it is the dialogue writing. It is refreshing to see more and more filmmakers use natural, colloquial forms of speech in their films of late. The central characterisation of Mauji is confused and inconsistent with his confusion over his identity not coming through clearly. At the other end. Mamta, the real doer, finds herself frustratingly stuck in her role of a quintessential lower middle class daughter in law. It is disappointing to see that despite being the wiser of the two, she is relegated by Katariya to play second fiddle to her husband. To compound matters, both Varun Dhawan and Anushka Sharma are miscast. Their ‘star’ personalities dominate their performances despite their best efforts. Varun Dhawan needs to decide that if it is ‘characters’ he wants to play, he needs to work a lot harder. Sometimes, the unheroic itself is heroic is a lesson that he needs to learn. Anushka is certainly a better actor than Varun and hence comes off relatively better. However, the lead pair is further undone by the convincing casting of the secondary cast, who not only look every bit a part of the milieu but are extremely fine actors as well. Raghuvir Yadav (always good to see him on screen) is his reliable self, as is Namit Das, as the wheeler dealer relative. But the stand out performer of the film is Yamini Das as Mauji’s mother. She looks and lives the part as if she truly inhabits the world of Sui Dhaaga and she is a hoot bringing in the desperately moments of much needed relief in the film! Anil Mehta’s camerawork goes with the film but Varun Grover’s lyrics and Anu Malik’s music make little impact and the editing too is lacklustre. All in all, Katariya fails to live up to the expectations of his fine first outing and disappoints big time with Sui Dhaaga. You people are cool. It’s being great support to us people knowing film from you dextrous folks. Thanks to upperstall and it’s team. You all are far better than newspapers’ reviews or others.